A friend of mine has been brewing beer in Boston for quite some time and has recently decided to step it up to the big leagues and start marketing his beer. Being the good natured beer-loving designer I am, I gladly accepted his request for help with branding his brews. 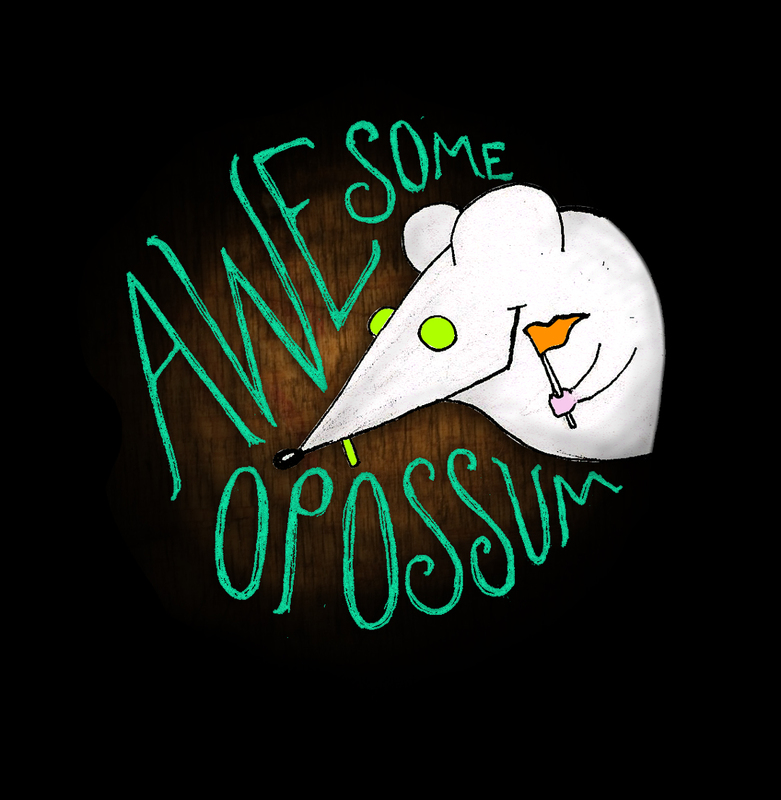 His only request for the brand was that the name would be Awesome Opossum. Here’s what I came up with. I wanted the overall feel of the design to be dark. Opossoms are nocturnal creatures so it felt only natural to give it an eerie feel. 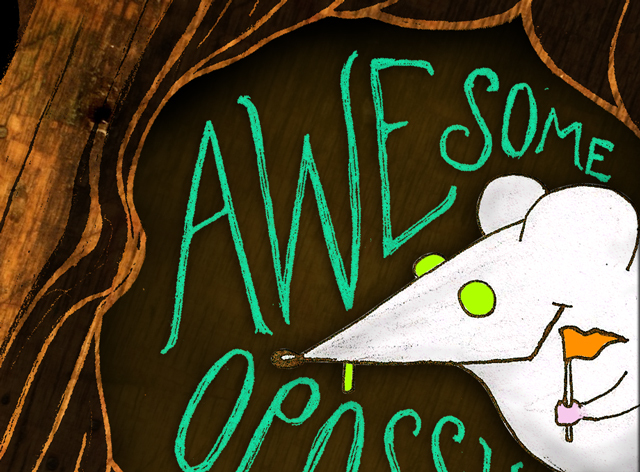 The wood texture gives a nice contrast to the illustrative/ cartoon feel of the text. I haven’t been able to get my hands on many graphic design projects that allow me to utilize my illustration recently so I’m pretty excited to see how this brand will turn out. 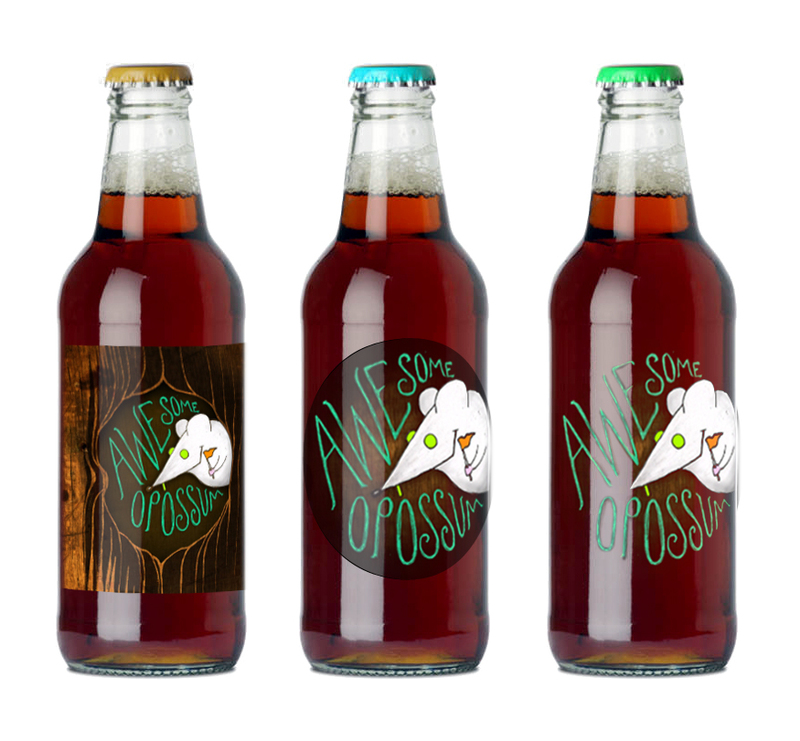 We are going to start with bottle labels, but I plan on creating other applications like packaging and posters. 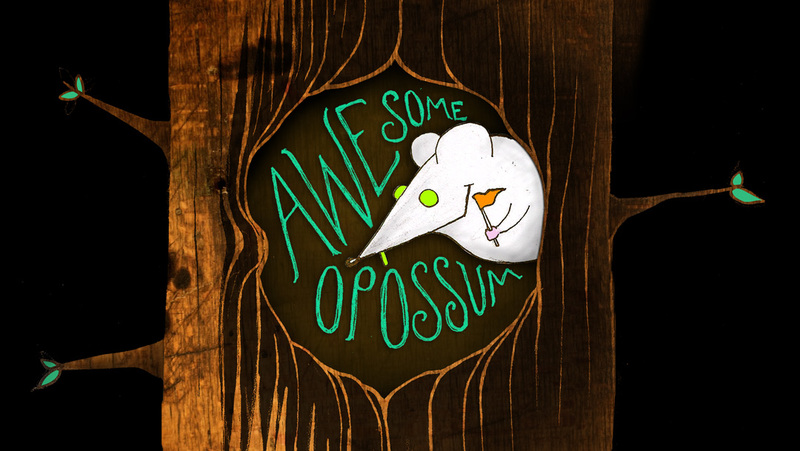 And since Awesome Opossum will continue to produce a variety of quality beers, themed twists on these initial designs will be fun to do. The first brews produced under this new branding will be part of the Nocturnal Ales series which is made up of Awesome Opossom’s Hazelnut cream stout, Dark brown ale, and their chocolate I.P.A. The hazelnut cream stout is a pitch black beer brewed with fresh hazelnut coffee, flaked oats chocolate malts. This is a very smooth, creamy, full bodied stout with the perfect hint of coffee. The dark brown ale is a slightly darker version of the classic brown ale with a hint of spice as an aftertaste. Fairly dark and would suit the “Midnight/Nocturnal Ale category perfectly. The chocolate I.P.A is brewed with chocolate and roasted malts giving it a nice dark color, but also has a wonderful hoppy aroma, and just the right amount of bitterness. I’ll post the finished, filled and printed bottles here as soon as I get my hands on a six pack. Great job dude, cant wait to see what else you come up with.